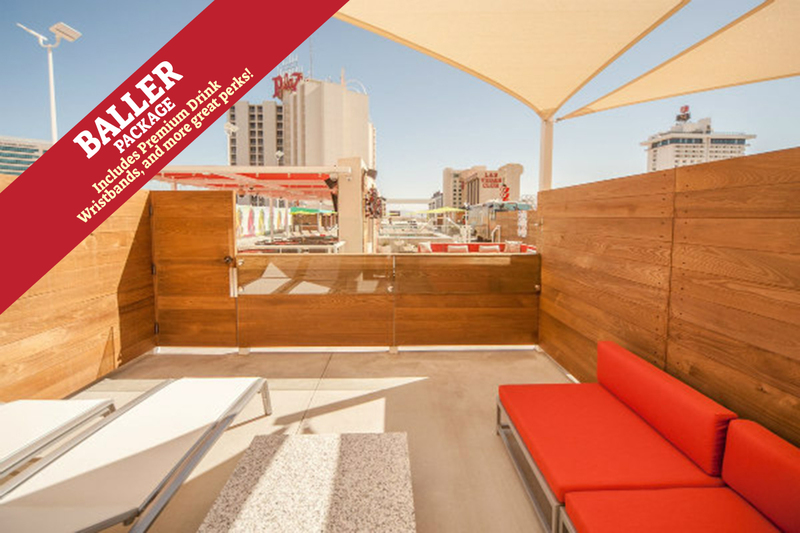 Our Baller Pool Patio Room packages give you all the perks of being a Baller and being in the middle of the action. These poolside cabana patio rooms are located in the South Tower and offer a unique, comfortable space, 55-inch flat screen television with premium cable channels, bar refrigerator, Keurig coffee maker, our suite room amenities and a private patio, which leads to the pool. Select King Bed or 2 Queen Bed Non-Smoking at checkout.